“I saved some links as bookmarks in safari on my iPhone. But after I cleaning my iPhone storage, I found that these bookmarks are missing. Luckily, I had them in my iTunes backup. The problem is that how can I preview these safari bookmarks in iTunes. Hope someone can help me. Have you got the trouble like above user to access and extract Safari Bookmarks in iTunes? Many people have the habit to create the bookmarks in Safari when they having some useful or important pages. Once you backed up these Safari Bookmarks in iTunes, the only way for you to access them is restore whole data in iTunes backup. Do you have the need to preview these Safari Bookmarks in iTunes? In this article, we will introduce you the tool to preview Safari bookmarks in iTunes and the tutorial to do this. 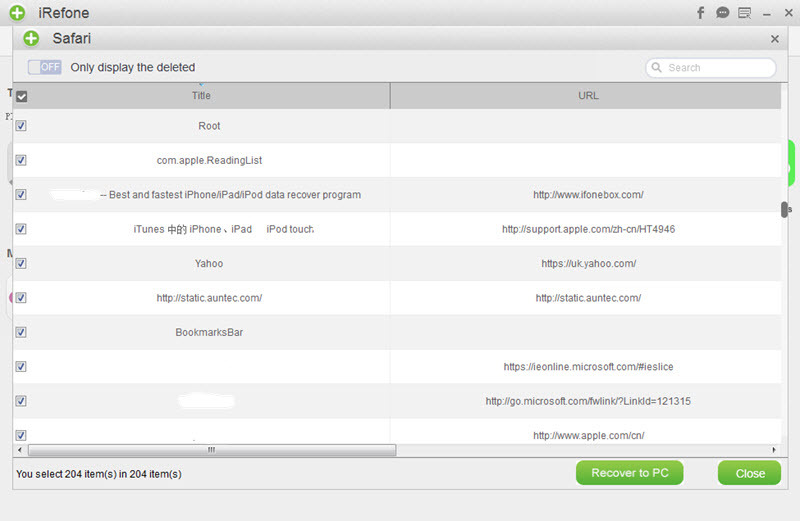 In order to preview Safari bookmarks in iTunes without restore the backup, what you need is the help of iRefone. 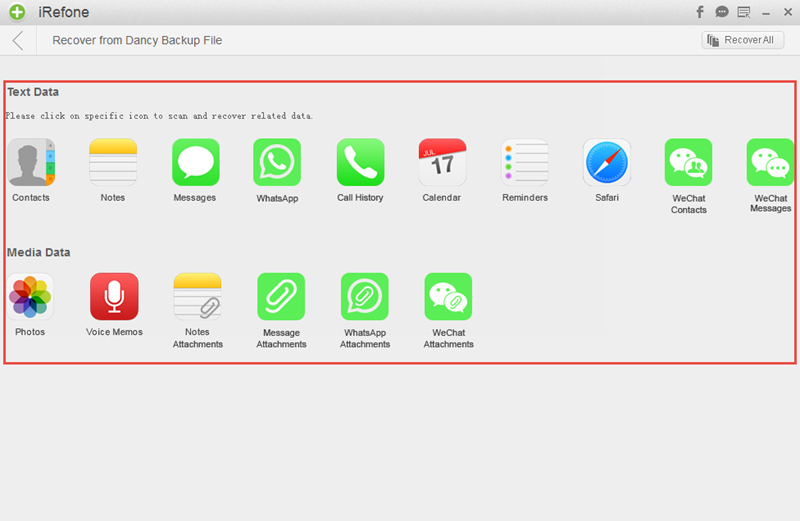 This tool supports to extract data like safari bookmarks, messages, contacts, photos, whatsapp, wechat and more in iTunes/iCloud backup which helps you access backup data selectively. No matter what reasons you need to access Safari Bookmarks in iTunes, you could do it with iRefone easily. After downloading the software, we will start the process to preview Safari bookmarks in iTunes. 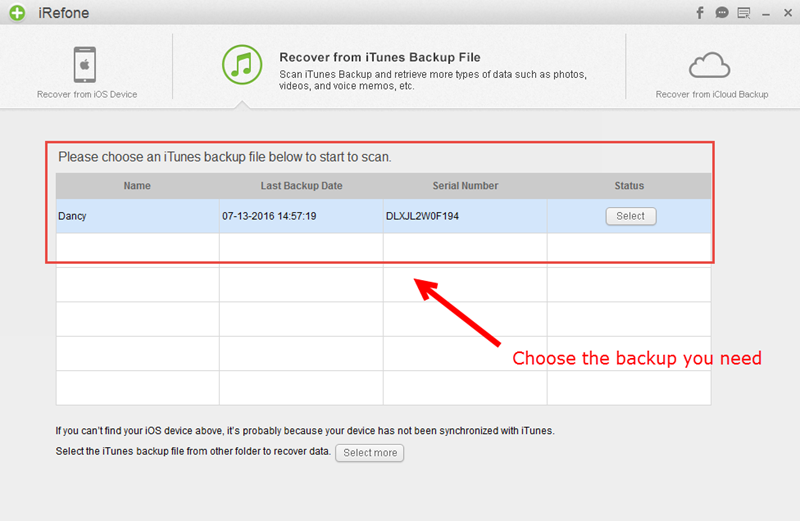 Choose iTunes Backup. Launch iRefone and choose “Recover from iTunes Backup” as the recovery mode. All of the iTunes backup files which you have ever synced with iTunes on this computer will be automatically found and listed in the software. Click “Select” or double click the backup you need to access the data interface. Choose Safari Bookmarks. Choose the data you want to scan and recover. Click the icon of “Safari” to start the scanning. Preview Safari Bookmarks in iTunes. When the scanning is finished, you could preview these iTunes Safari Bookmarks in the interface. If you need to save them, you could also click on “Recover to PC” to save them to your computer.